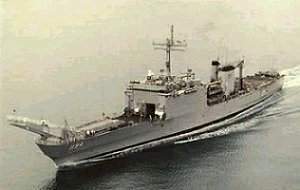 USS LA MOURE COUNTY was the 16th ship in the NEWPORT - class of Tank Landing Ships and the second ship in the Navy to bear the name. LA MOURE COUNTY was homeported at the Naval Amphibious Base Little Creek, Va., and was assigned to Commander Amphibious Group Two and Commander Amphibious Squadron Ten. This section contains the names of sailors who served aboard USS LA MOURE COUNTY. It is no official listing but contains the names of sailors who submitted their information. 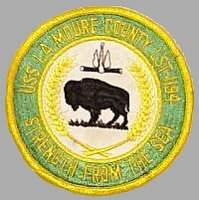 Click here to see which USS LA MOURE COUNTY memorabilia are currently for sale on ebay. LA MOURE COUNTY was named for the City and County of La Moure, North Dakota. Judson La Moure, the city's namesake, was a noted pioneer, businessman and member of the territorial and state legislatures. Located in the southeast portion of the state, settlers began arriving in 1872 with the western advancement of the Northern Pacific Railroad. By 1880 this site became the first organized town in La Moure County, and in 1881 it became the County Seat. With its rich soil and highly mechanized farming, La Moure County is an extremely productive agricultural region. The county produces corn, wheat, oats, rye, flaxseed, cattle, sheep, hogs, and poultry. USS LA MOURE COUNTY collides with USS HERMITAGE (LSD 34) while the ships are practicing a resupply exercise. The HERMITAGE sustains a five-foot hole in its bow stem above the waterline while LA MOURE COUNTY sustains superficial damage to its left side. The CO of LA MOURE COUNTY is relieved pending an investigation of the accident. 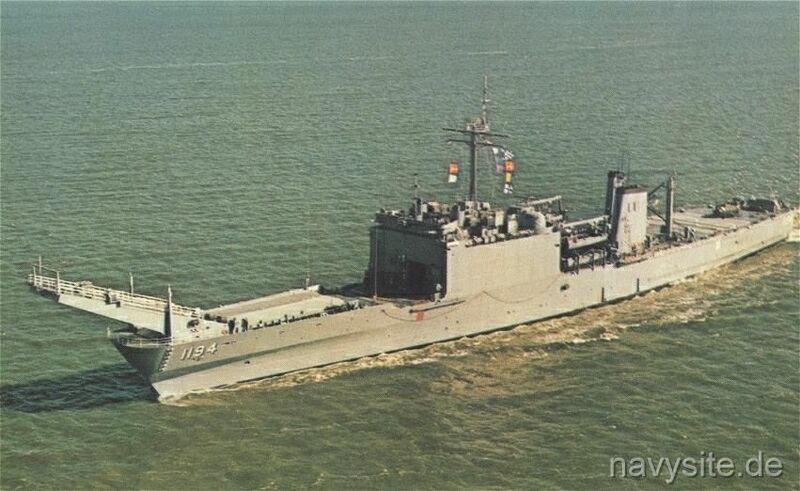 LA MOURE COUNTY was preparing for an amphibious landing, part of the annual UNITAS exercise, and was operating with the Chilean LST VALDIVIA (the former USS SAN BERNARDINO (LST 1189), a sister ship transferred to Chile several years ago). In the darkness and fog, LA MOURE COUNTY drove ashore on small rocky island just off the coast. 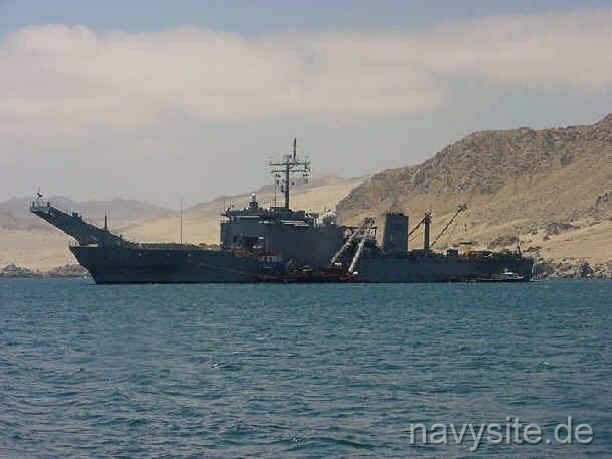 VALDIVIA pulled her off the rocks and she anchored in Cifuncho Bay to evaluate the damage. 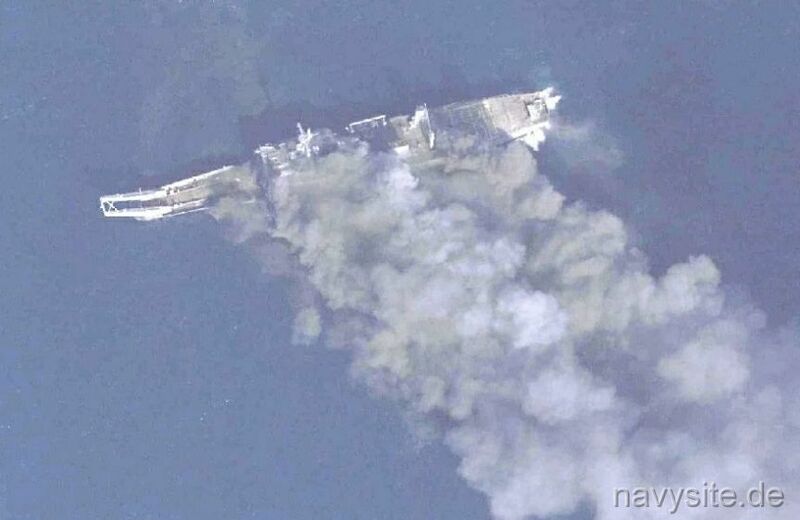 Unofficial damage reports indicated massive damage to the hull and destruction of her propulsion systems. Following the grounding, LA MOURE COUNTY underwent emergency repairs in Cifuncho Bay, to make her seaworthy for the 700 mile tow to Talcahuano, Chile. After getting underway October 28, she arrived at Talcahuano on the 31st, under tow by the Chilean icebreaker OSCAR VIEL TORO. This was her final port, as repairs to her severely damaged hull and machinery were judged to be uneconomical. 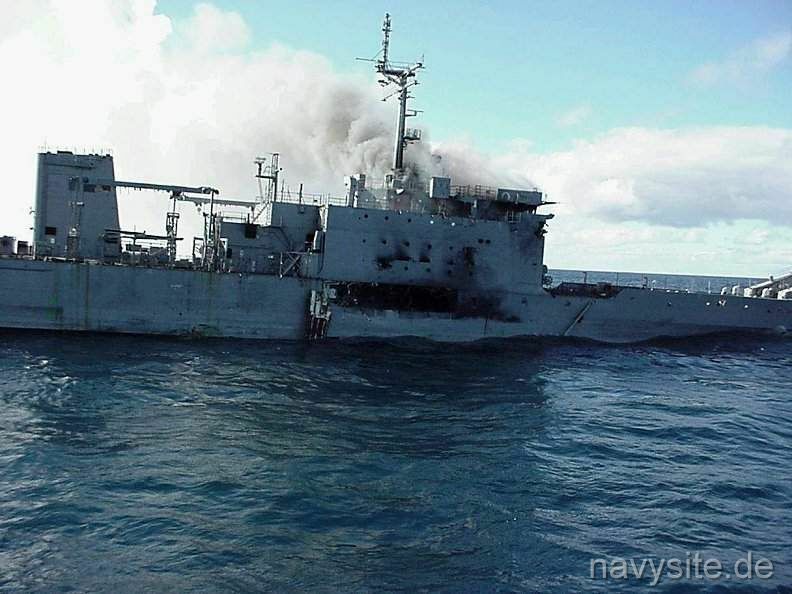 It was determined that it was more beneficial for the damaged ship to be used as a target for a live fire Sink Exercise (SINKEX) rather than making costly repairs. 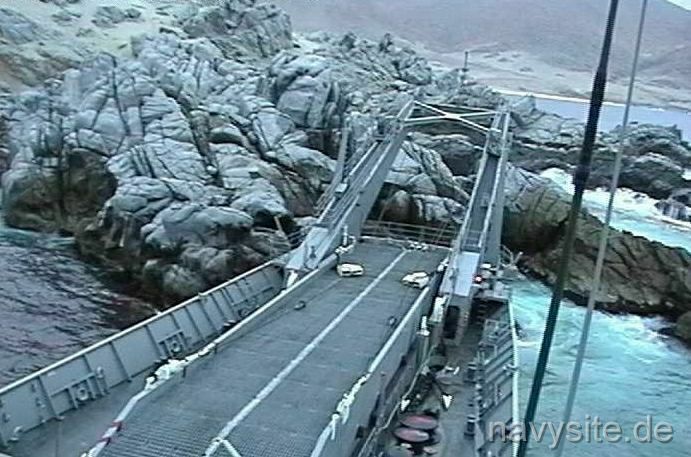 The photos below show LA MOURE COUNTY following the grounding on the rocky coast and at anchor in Cifuncho Bay, where she was situated from September 12 to October 28, 2000. The LA MOURE COUNTY was decommissioned after an accident off the coast of Chile in September 2000. 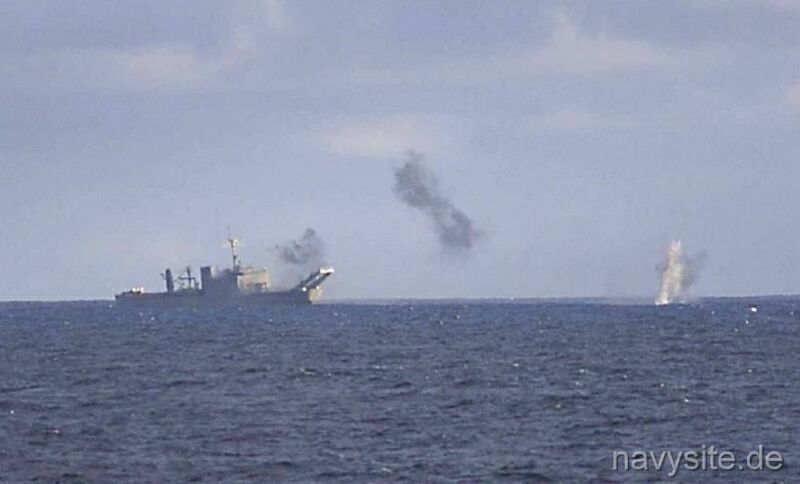 It was determined that it was more beneficial for the damaged ship to be used as a target for a live fire Sink Exercise (SINKEX) rather than making costly repairs. The SINKEX took place as part of Exercise Tamwork South 2001. 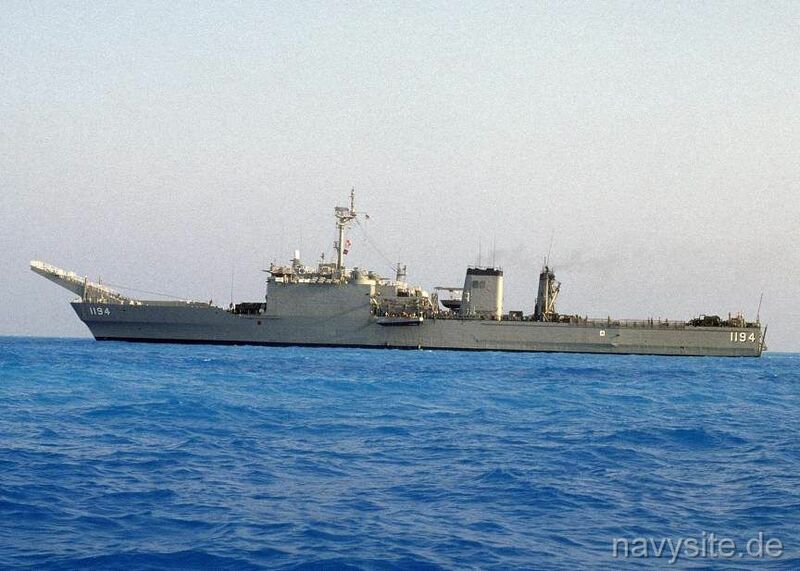 USS TICONDEROGA (CG 47) and USS RODNEY M. DAVIS (FFG 60) began the SINKEX on the morning of July 10, 2001, with Chilean Destroyers CAPITAN PRAT (DHL 11), ALMIRANTE COCHRANE (DHL 12) and BLANCO ENCALADA (DHL 15) and the British Destroyer HMS EDINBURGH (D 97). The exercise began with a live fire gun pass at 5,000 yards. The ships moved into a firing line position with the target ship to the starboard. TICONDEROGA was the first to send 20 five-inch rounds downrange. When the smoke cleared from the decks of the target ship, LA MOURE COUNTY, the other ships in the task group commenced fire. After the ships completed the first round, the ships changed course while remaining in a gun line firing formation and brought the target ship to the port side at 9,000 yards away. The ships again open fired on the amphibious ship hurling another 60 explosive rounds into the now severely damaged target ship. 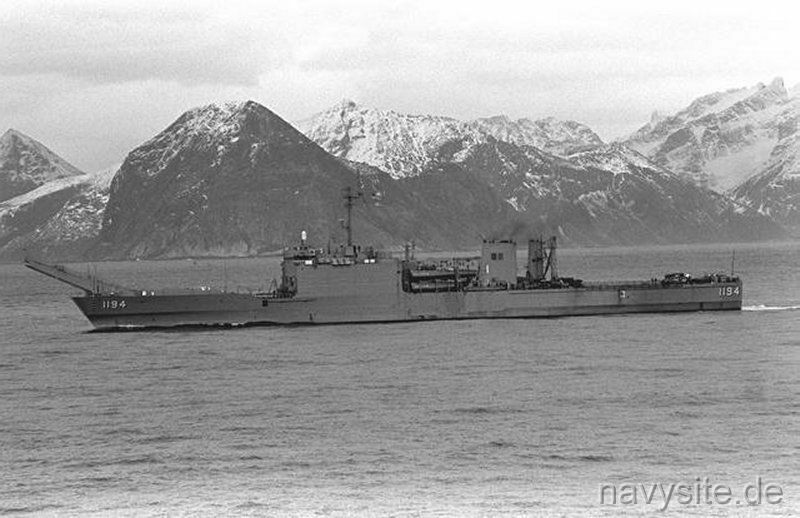 The final gun approach positioned the U.S., Chilean and British ships at over 6 miles away from the target ship before they were cleared to open fire. Few of the ships in the firing line had difficulty with the increased distance. High on the starboard bridge-wing of TICONDEROGA, the ship�s executive officer, monitoring the accuracy of the guns targeting system, watched the single spotting round strike just below the bridge of the target ship with a brilliant orange glow and thick plume of black smoke. He yelled into the telephone to the Tactical Action Officer, "Round on target, batteries released!" Seconds after his command, the forward five-inch gun quickly thundered out 19 more HE-PD rounds demolishing the bridge and deck house of the target ship. 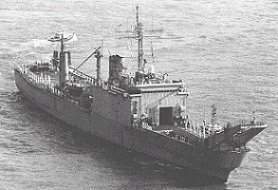 Lt. Cmdr William F. Hesse, Executive Officer onboard TICONDEROGA said, "We do not have the opportunity to this sort of thing often but it is apparent that our training has paid off because the crew performed superbly sending rounds downrange accurately and getting good hits with each engagement." With the gun exercises over and the LA MOURE COUNTY badly damaged, but still afloat, the exercise continued. The British Destroyer HMS EDINBURGH launched a Sea Dart surface missile at the LA MOURE COUNTY impacting to the rear of the bridge. With a Standard Missile (SM-2) ready on the forward missile launcher aboard USS TICONDEROGA, the cruiser�s powerful SPY-1A radar locked onto the target over ten miles away, ready to fire. 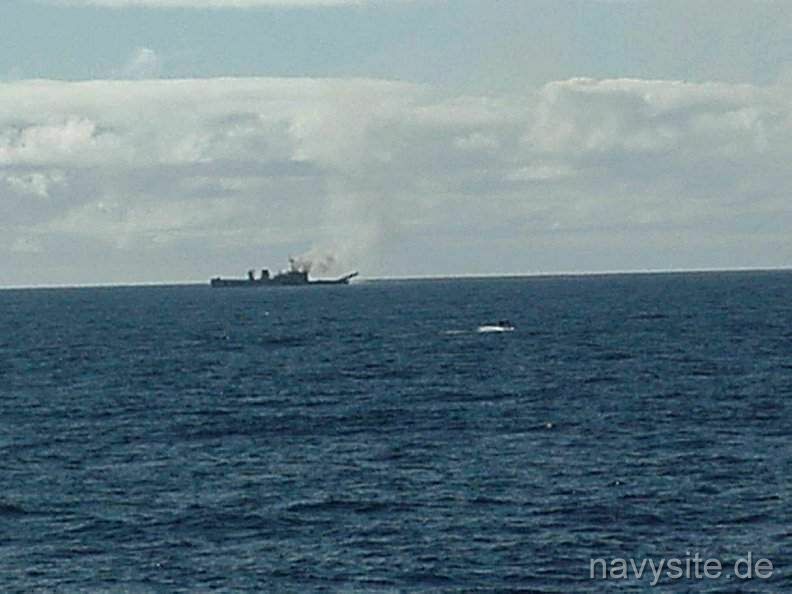 The command was given and the missile leaped into the air leaving behind a thick cloud of white smoke on the cruiser�s foc�sle. The powerful missile exploded at the target causing extensive damage, but the crippled ship still remained on top of the water. TICONDEROGA�s Commanding Officer, Cmdr Glen Sears said, "The LA MOURE COUNTY is a testament to U.S. shipbuilding technology. The ship has taken an absolute beating from the six ships out here today and refuses to go down." 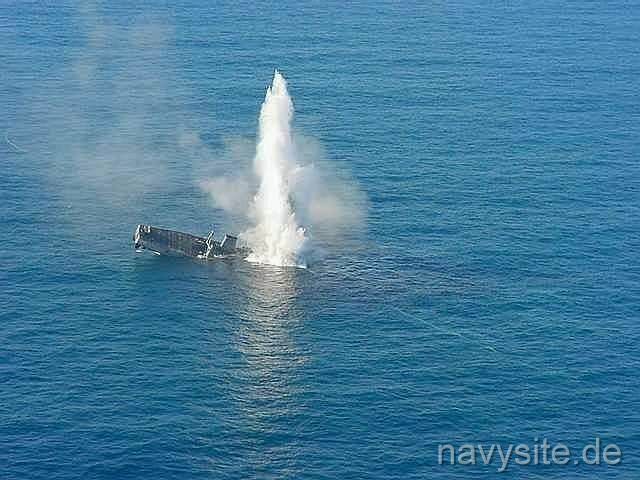 The SINKEX continued with two air-launched surface missiles fired from the British Lynx helicopter assigned to the HMS EDINBURGH. The helicopter lifted off the flight deck of the British Destroyer carrying a Sea Skua anti-ship missile flying low and fast towards the target. 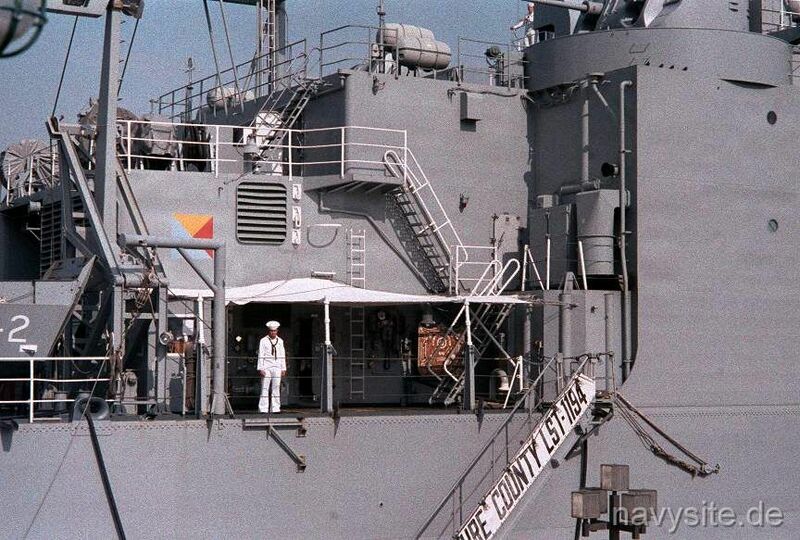 The Lynx fired the missiles from more than four miles away striking the ship amidships leaving a gaping hole in the hull above the water-line. The LA MOURE COUNTY, smoking and listing to port quickly fell prey the U.S. Navy�s Harpoon Cruise Missile. The first Harpoon missile jumped from the Mk 13 launcher of USS RODNEY M. DAVIS, followed closely by TICONDEROGA�s own Harpoon erupting towards the sky with a brilliant blast of fire and smoke. Once the small turbo-fan jet engine engaged, the rocket boosters fell to sea and the cruise missile closed the 25 miles to the target ship. With a shuddering explosion, the cruise missile ripped huge holes in the hulk peeling back huge sections of the shops exterior. Still afloat, the Chilean submarine O�BRIEN finished off the LA MOURE COUNTY with six Mark-8 torpedoes, finally sending the ship to bottom of the Pacific where the ship will become an artificial reef. The hulk was prepared in accordance with environmental agreements between the Chilean Navy and Naval Sea Systems Command ensuring all precautions were made not to harm the environment. The sunken hulk of LA MOURE COUNTY will serve as a sea life habitat for hundreds of years of come. 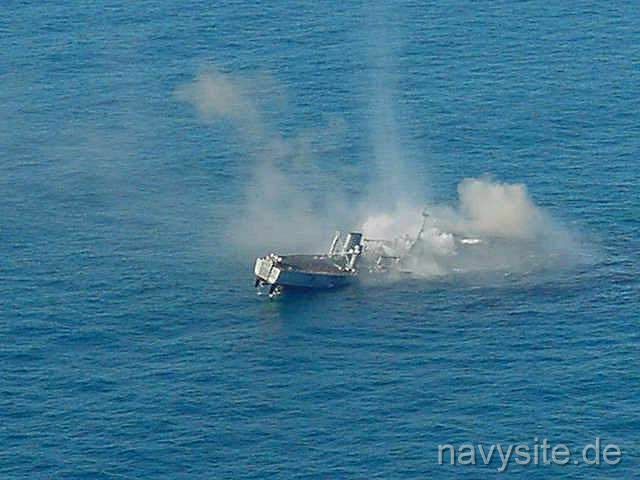 The four photos below were taken from the Chilean navy frigate ALMIRANTE CONDELL and from her helicopter during the sinking of LA MOURE COUNTY.